More organizations are choosing solar to light their outdoor pedestrian spaces because of the many advantages it offers over traditional wired lighting. 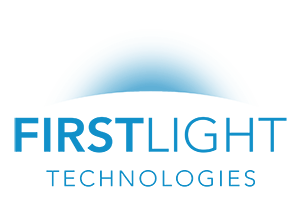 First Light’s solar products are ideal for projects where it would be expensive to build a connection to the electrical grid. These costs can vary depending on distance or other local engineering challenges. At a minimum cost of $25 per foot for a typical lighting project, trenching for electrical wires connecting a whole area or pathway can quickly become expensive. This cost can escalate fast if other challenges arise like rocky terrain. First Light solar products removes the requirement to dig a trench for wires. With trenching for wires also comes the disruption of the site and the cost of ground remediation afterwards. With First Light’s solar products, only the footing for the poles needs to be installed, greatly reducing the overall disruption and remediation that is required. With less work required for site preparation and with self-contained fixtures, installation of First Light fixtures tends to be 15 minutes or less. First Light’s fixtures are designed with the capacity to stay on all night regardless of variations in weather or power outages. Our solar lights generate all of the power they need, eliminating the need for power from the grid. First Light fixtures across the U.S. currently prevent about 4562 metric tonnes of greenhouse gas emissions a year, the equivalent of taking over 1000 cars off the road a year. Electrical wires can be vulnerable to theft and corrosion, especially in more acidic soil conditions. Our lights eliminates this risk and have features to make them vandal resistant. Our lights have been designed to match the aesthetic of wired lights but with the advantages of solar.